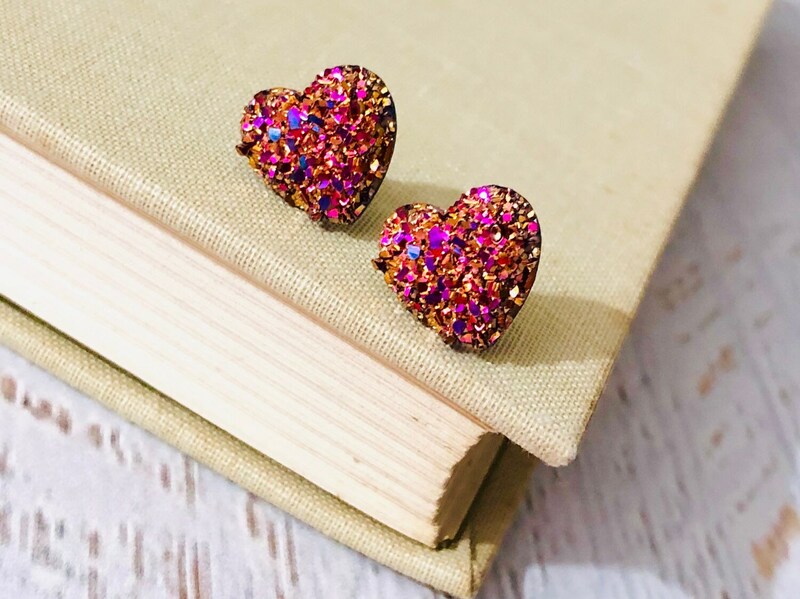 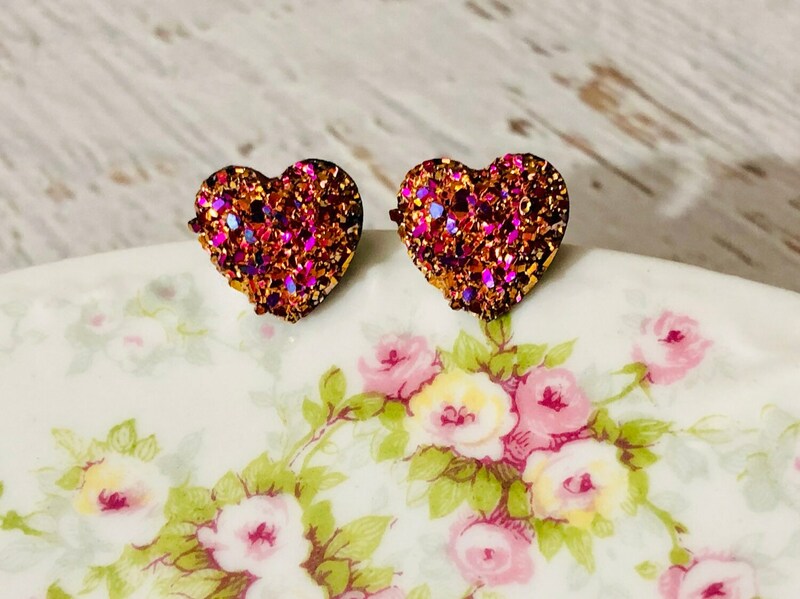 The glittery-ness of these faux druzy resin heart earrings is nothing short of amazing. 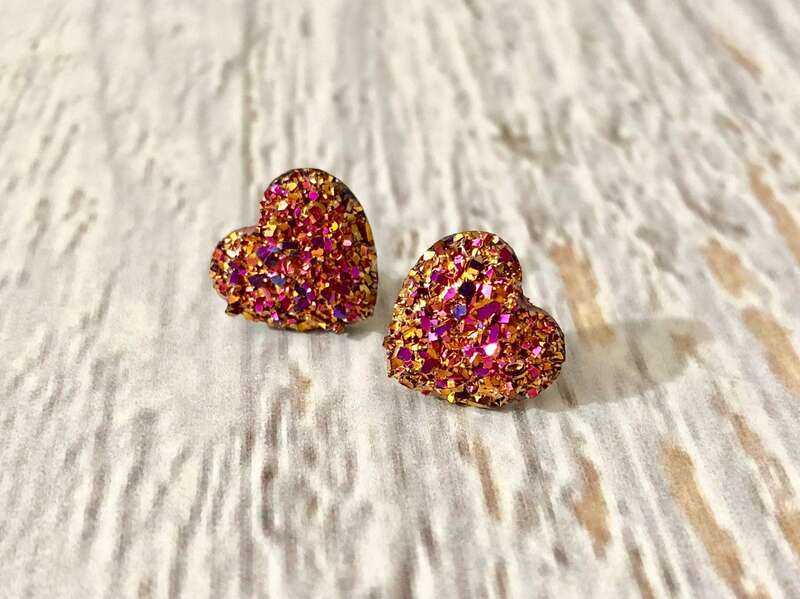 I love them and you will too!!! 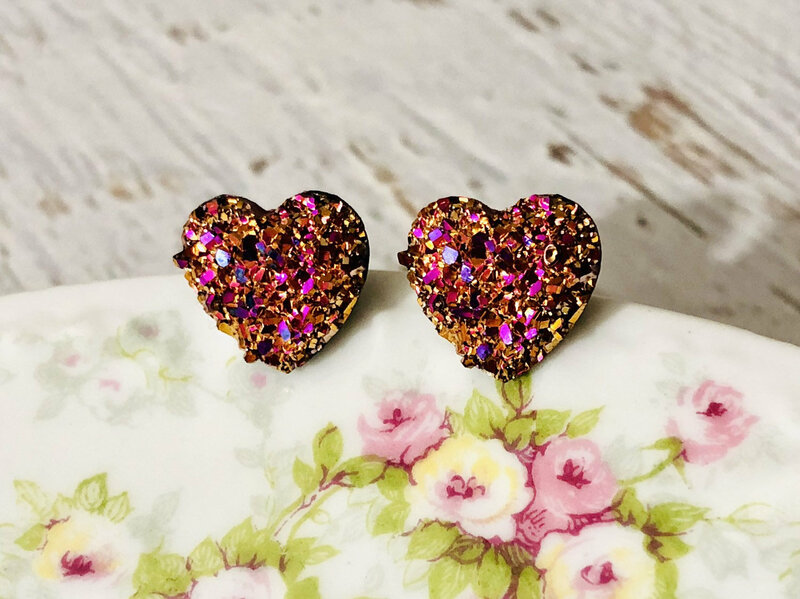 Depending upon how the light is hitting them, these hearts go from gold to rose gold to bright pink. 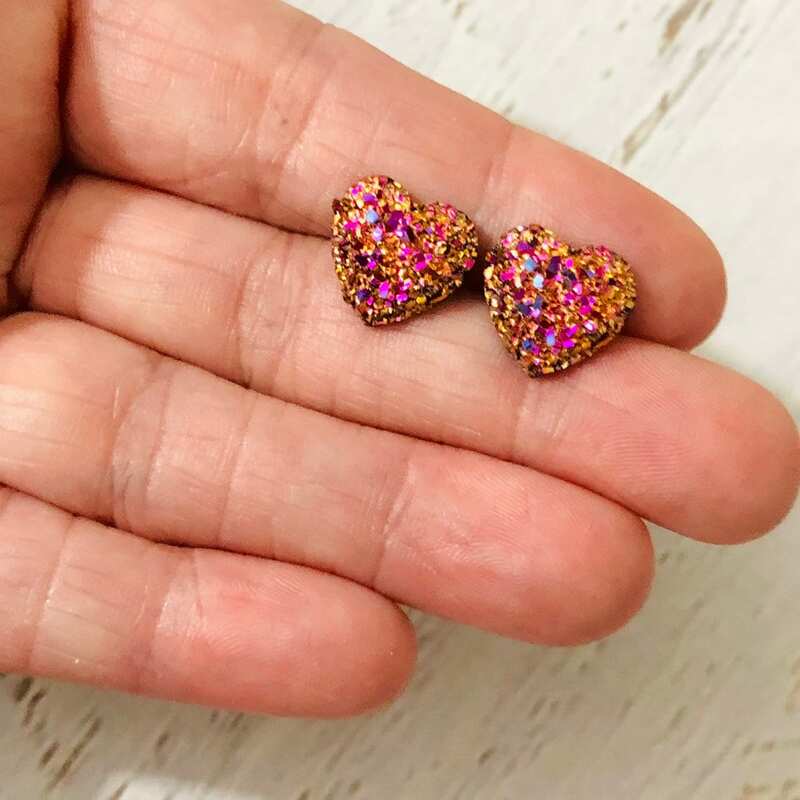 It is mesmerizing to watch them.